Before you can start growing new hair, the Healthy Hair Tonic must first create the appropriate conditions for optimum growth on your scalp. Your hair growth will begin to visibly appear depending on how consistently you use the Healthy Hair Tonic and how advanced your hair problems were prior to commencing your treatment as well as other key factors such as genetics, your medical history and what medications you may be taking. It is important to realise that before any visible hair growth begins to develop, there needs to be an immense amount of rejuvenation that must occur underneath the skin ﬁrst. 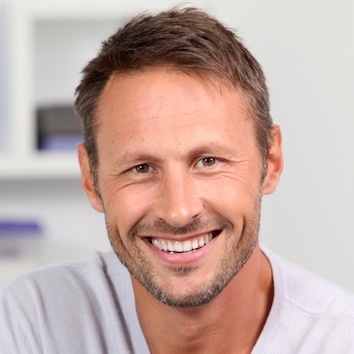 These developments are only visible when viewed under a microscope typically after the ﬁrst 3 or more months of your treatment (depending on the severity of your hair loss). Unclogging follicles and removing accumulated sediments and excess DHT will require time and patience. Once this process is well underway however, youʼll achieve a healthy scalp that is free of excess oil and DHT, and after this you will begin to notice and enjoy the visible effects of new hair growth. 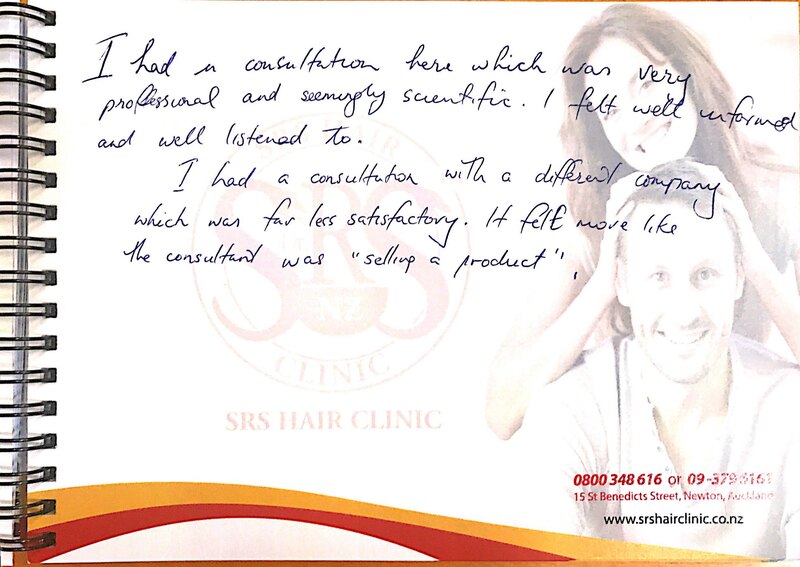 Overall, you will be pleased not only with the amount of hair that you regain, but also with the general health and vitality of your hair and scalp. The key to you achieving success is regularity, consistency and following our expert advice – in particular, making sure to apply the tonic as directed. During the first two weeks of using the Healthy Hair Tonic, you may experience a tingling sensation on your scalp, which results from the cleaning and clearing of your scalp. You may begin to notice how healthy your scalp looks and feels. 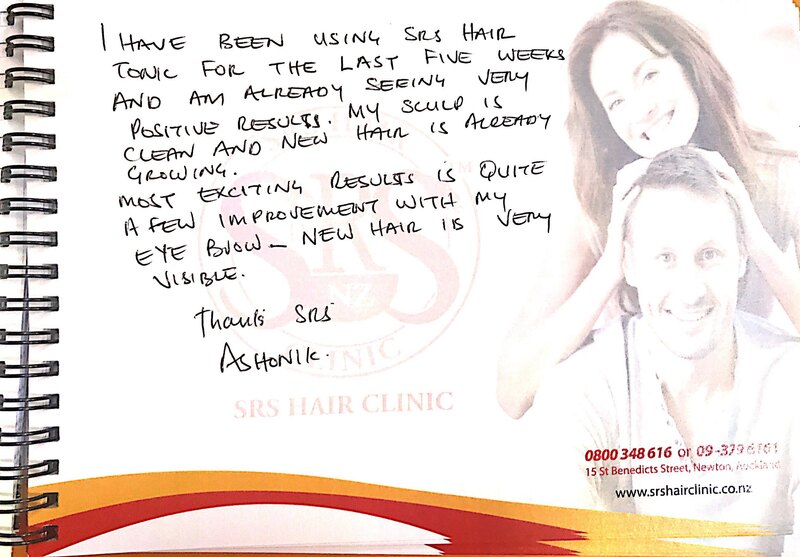 We often have clients coming in with redness, dryness or excessive oiliness on their scalp, which typically clears up after several weeks of using the Healthy Hair Tonic. In particular, if your scalp has excess dandruff or itchiness the Healthy Hair Tonic may be the perfect solution for totally rejuvenating your scalp. During this time period, your scalp should undergo the necessary changes and improvements required to create the environment for new hair growth to occur. 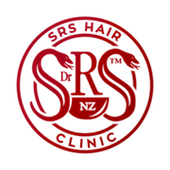 The ﬁrst 3 to 4 months of treatment is the period of time when new hair follicles or “pores” start to open up on your scalp and tiny new hairs will begin to emerge. These ﬁne new hairs will typically be too difficult to notice with the naked eye, but you will be astounded with the results under the microscope. This is the first phase of new hair growth, and sets the stage for abundant growth in the months to come. You should also typically observe a signiﬁcant decrease in hair loss and notice a difference in how healthy your hair both looks and feels. 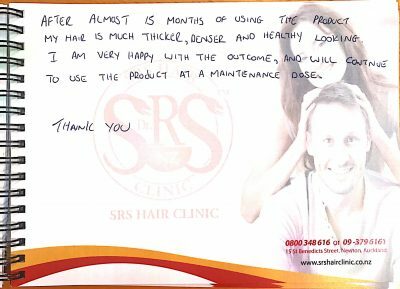 After using Healthy Hair Tonic for the ﬁrst 6 months of treatment, your new, rejuvenated hair should make your scalp appear fuller and denser. With continued use, your hair will remain healthy and continue to further improve. It is during this time that the Healthy Hair Tonic should have successfully reduced excess levels of DHT throughout your scalp to allows it to revive itself with new hair. 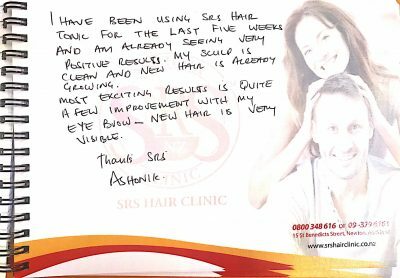 You will enjoy new hair growth spanning from the outer edges of your scalp to more stubborn areas of previously little or no growth. The extent of this growth is different for every individual and is dependent on both specific genetic and environmental factors. 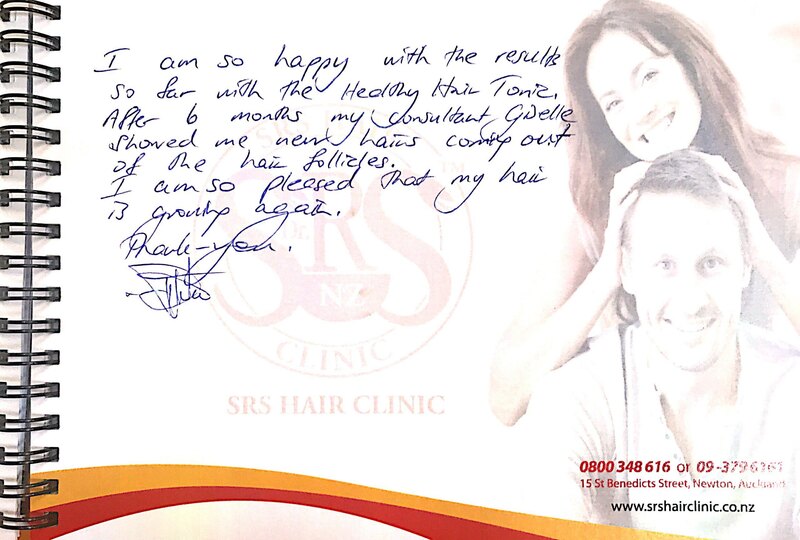 With ongoing treatment with the Healthy Hair Tonic for 12 months or more, you will be amazed at the extent of hair rejuvenation your scalp can achieve. The Healthy Hair Tonic in effect allows your scalp to “heal itself” and to simply stimulate new hair growth. 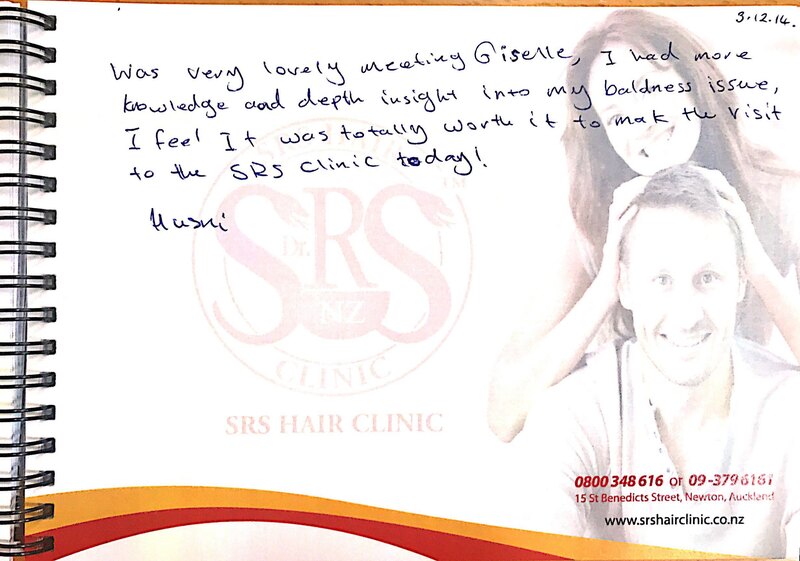 Once you have achieved the results that you desire, maintaining your new hair is paramount. It is important to realise that your body continuously produces DHT. If you should continue to use the Healthy Hair Tonic regularly, it will ensure that you avoid hair loss problems in the future. Unlike many other products on the market, however, it is possible for you to gradually decrease the amount and regularity with which you use the Healthy Hair Tonic by reducing your usage to a maintenance dose. 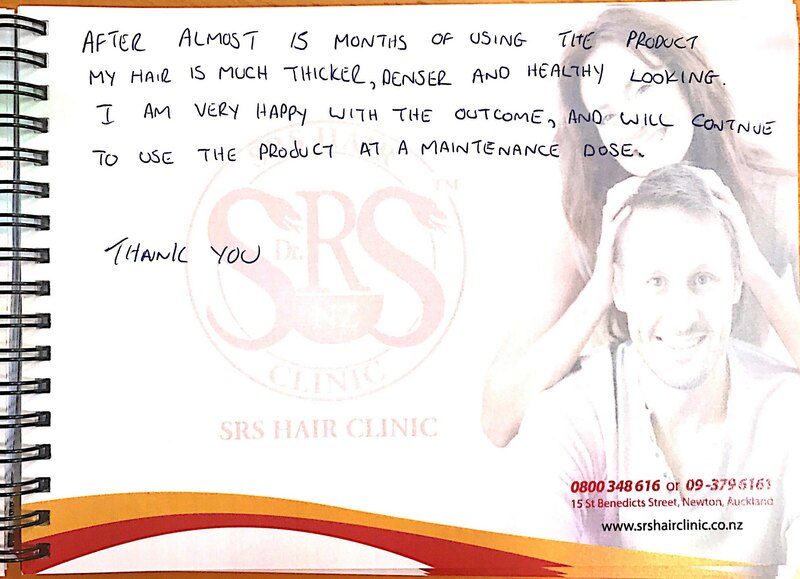 This will allow you to reduce costs while at the same time maintaining your beautiful new hair. *Please note that individual results may vary and the information provided above is only intended as a guideline (based on average results) and is not an exact timeframe.